High Quality Content by WIKIPEDIA articles! 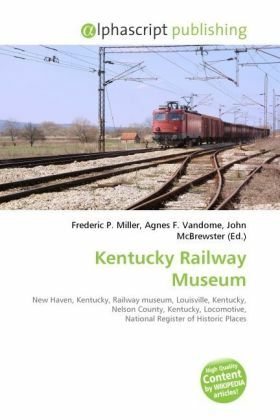 The Kentucky Railway Museum, located in New Haven, Kentucky, United States, is a non-profit railroad museum dedicated to educating the public regarding the history and heritage of Kentucky's railroads and the people who built them. Originally created in 1954 in Louisville, Kentucky, the museum is at its third location in extreme southern Nelson County. It is one of the oldest railroad stations in the United States. The museum owns four steam and six diesel locomotives, and over a hundred pieces of rolling stock. Four of the pieces are separately on the National Register of Historic Places: the Louisville and Nashville Steam Locomotive No. 152, the Louisville and Nashville Combine Car Number 665, the Mt. Broderick Pullman Lounge-Obs-Sleeping Car, and the Frankfort and Cincinnati Model 55 Rail Car.